Hi! My name is Keriann and I am excited to help you plan your magical vacation! I have been lucky to experience Disney as a child, adult, and now through the eyes of my own children and I have to say, it truly is magical and it never disappoints! There is always something new to do and see. Whether you are about to plan your first trip or are a veteran but want to take away some of the stress and time that goes into planning a Disney vacation, I’m here to help. My past experiences and current training have given me a wide knowledge base on Resorts, dining, and attractions. My services are of no cost to you and I will help to make the planning and travel as stress free as possible. 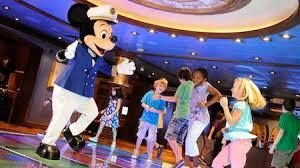 Besides Walt Disney World, I also specialize in DisneyLand , Disney Cruise Line, and Aulani Resort in Hawaii. Looking forward to working with you and your family! She planned our trip perfectly! As a VERY SATISFIED customer, I would highly recommend that anyone going to Disney seriously consider consulting Keriann Marie. She planned our trip perfectly, taking into account that me, my mom and my then six year old son would have unique needs for spending the week together (ie time to rest, time apart, etc.). BEST TRIP EVER, thanks in large part to her efforts!!! And we got all of the inside tips on what to do/not to do. If you are heading to Disney, don’t even try planning without Keriann! Just returned from an amazing trip that was so well-planned-she thought of everything! And we got all of the inside tips on what to do/not to do-the vacation would not have been as smooth without her. Honestly, stop trying to plan on your own and go with Keriann-you’ll be glad you did! My family could not say enough great things about her service-THANK YOU, Keriann! Keriann was so informative and knew just what we were looking for. Great communication!